This replacement IO board has the DC in and 3.5mm stereo jack sockets at the rear of the SoundDock Portable. 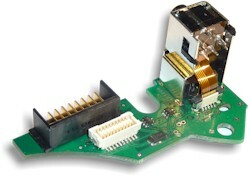 The standard AUX socket if frequently destroyed when the connected lead is pulled sideways. 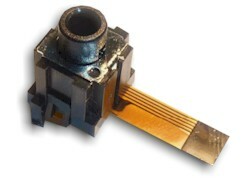 This version has an upgraded steel connector housing and a tough jack socket. 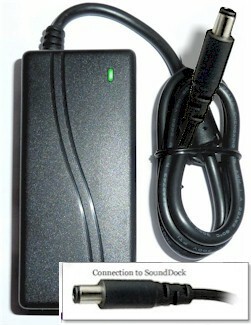 3.5mm jack sockets are available as a snap-in replacement. (In case it get broken in the future - see listing below). It is easy to fit using the video instructions. All boards are sold on a try and return basis. If you need help on the diagnosis then refer to the diagnostic video. 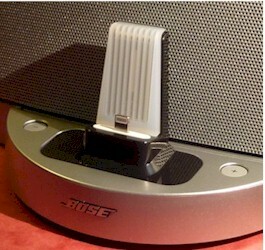 Fits ALL Bose SoundDock portable docks. 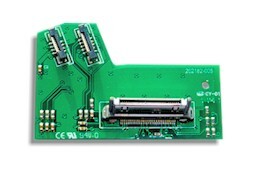 If your AUX socket is damaged again after you've purchased this replacement board you can purchase a replacement AUX socket which easily fits into this board. It is easy to fit using the instructions. All boards are sold on a try and return basis. If you need help on the diagnosis then email or call our helpline. Fits ALL Bose SoundDock portable docks. This part replaces the AUX socket on the Invebo SoundDock Portable IO board replacement allowing you to cheaply replace this socket if damaged. This does NOT work with the original Bose SoundDock Portable IO board with the gre plastic connector housing. It is easy to fit using the instructions. All parts are sold on a try and return basis. If you need help on the diagnosis then email or call our helpline.